What you see on your table every day isn’t always what it ought to be. The world is too corrupt and caught up in making money at the cost of your health which is why when you shop for certain foods, you should always be careful. WheeBuzz brings you this information of the 7 most commonly faked foods. Ground Coffee usually contains wheat, soybeans, roasted and chopped barley. Some companies even resort to adding ground wood just to reduce their production costs. It would be more sensible to buy pure coffee beans, and grind them into powder to make yourself a good cup of coffee. 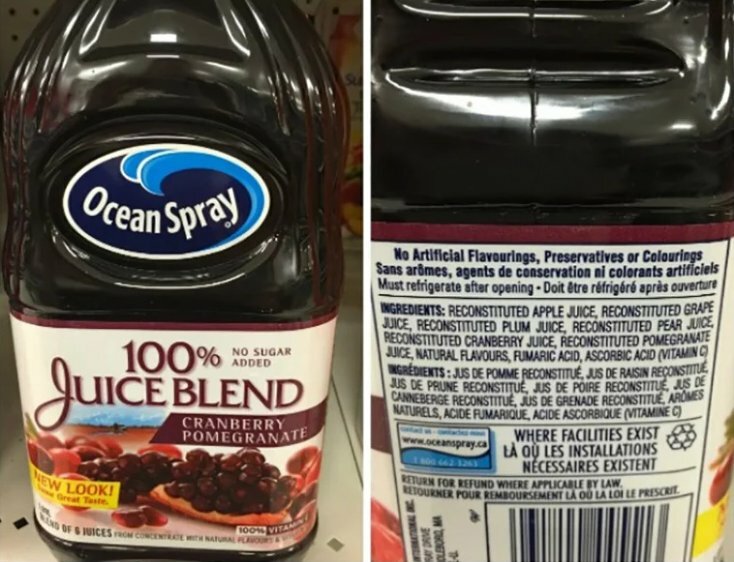 While the details on the label tell you that the bottle within the package consists of 100% pomegranate and cranberry juice, the truth is that the drink will turn out to be diluted with cheap apple juice or even water. It would be advisable to read the composition carefully and take note of the juice proportion or percentage. Sometimes when you think you have brought home an expensive bottle of olive oil, in reality, you have been scammed into buying a cheap bottle of palm, soy, or corn oil. 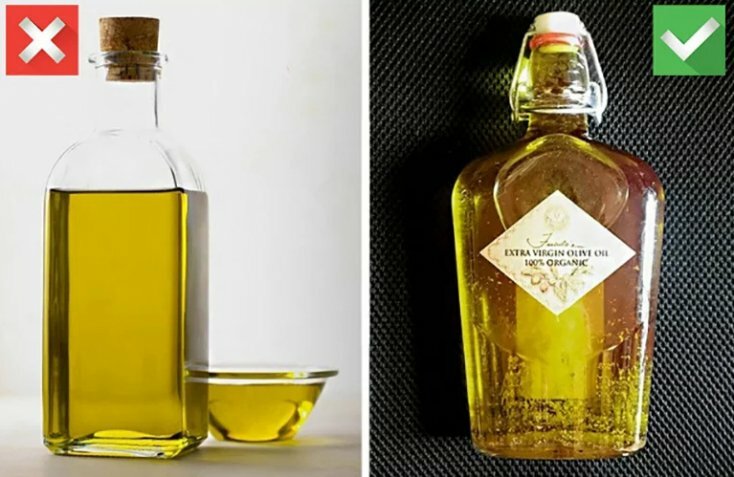 To identify if what you brought back from the store is real olive oil, then pour some of the oil in a glass and put it into the fridge. If it forms sediment then it is real olive oil. Parmesan Cheese is probably one of the most adulterated foods these days. In actuality, the parmesan cheese you buy more often than not can contain at least 10% of wooden shavings. Also, sometimes a mixture of cheaper cheeses is passed off as parmesan cheese. Before buying the whole block or wheel of parmesan cheese, make sure to thoroughly read the label’s composition. People have a variety of ways to fake honey. The common methods involve diluting it with syrups that have high fructose content. To know whether the honey is natural or not, go through its storage requirements on the label. Pure natural honey will never be required to be placed within the fridge. The reddish slice of meat that you see on a roll sometimes may not actually be salmon. It so happens that when you order sushi and rolls that are made from a specific type of fish, you end up being fed a cheaper variant of fish meat that might taste similar. In some cases, the fish meat may even be colored. If you really want to have a nice fish dish, then eat fish in steak form instead. Out of all the faked foods out there in the market, rice has the potential of being the most dangerous. Faked rice can even be made from starch mixed with plastic, and in this, the grains may look exactly like rice and can even have the same smell as rice as they are sprayed with flavoring. To identify fake rice you can put it in some water or burn it, since fake rice floats on the water surface and does not sink while when burning it will burn like plastic. To avoid buying such rice, pay close attention to the manufacturer and always buy well-known and tested brands.